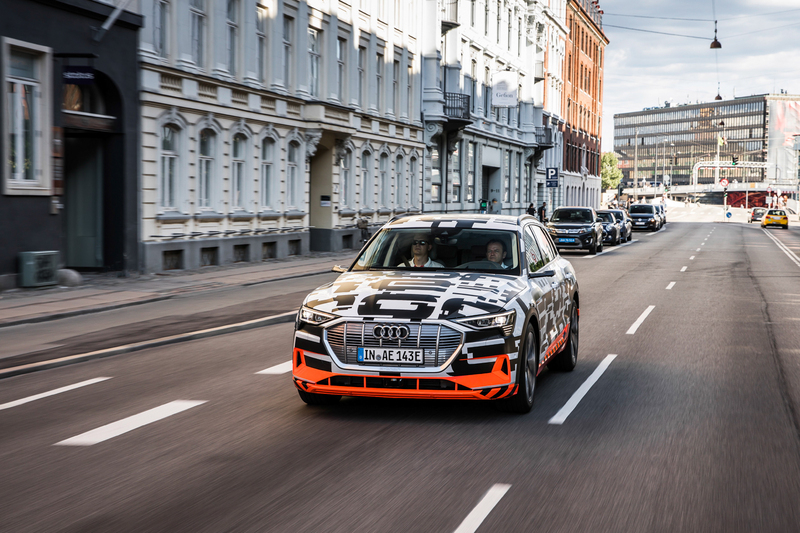 In a few weeks, Audi is going to be unveiling its first-ever fully-electric car to the world, the Audi e-tron. The e-tron will be a pure BEV (Battery Electric Vehicle) SUV that boasts some pretty impressive specs. However, it won’t be the only one in its segment, and it won’t even be the only German in its segment, within a few years. That’s because it’s going to be getting two new competitors from both BMW and Mercedes-Benz. So let’s take a look at how the e-tron stacks up against the claimed specs of the other two cars. First, let’s start with the Audi e-tron. It will be about the size of an Audi Q8, so it’s not going to be very small and will likely be the largest SUV of the trio. With two electric motors, one at each axle, the e-tron will make 355 hp and 413 lb-ft of torque. While it will also get a so-called “Boost Mode”, temporarily boosting power to 402 hp and 489 lb-ft of torque, that’s only for a short while so we won’t be considering that in this comparison. It’s said that total range for the e-tron will be about 245 miles. 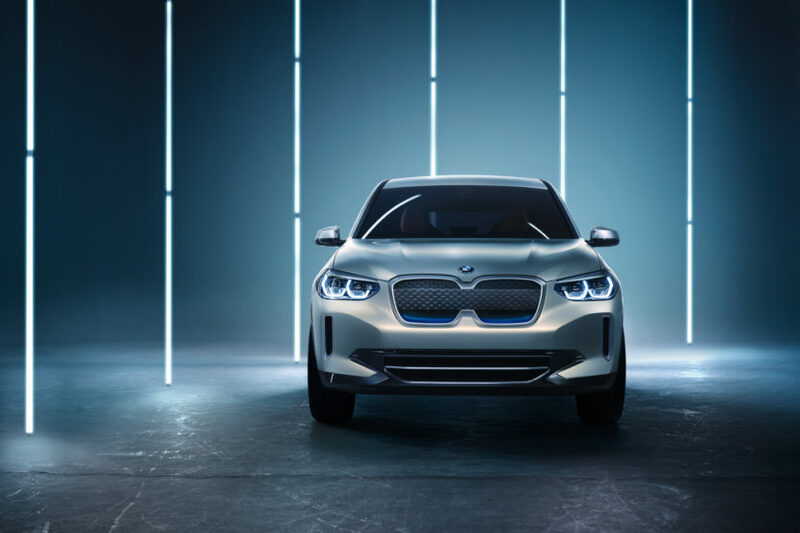 The next EV SUV to debut will most likely be the BMW iX3. It will be a fully-electric version of the current BMW X3, which makes it a bit smaller than the e-tron. That might not be great for interior space and comfort, it will be lighter, therefor sharper and could have better range. While it’s still in concept phase, it’s very close to production-ready. 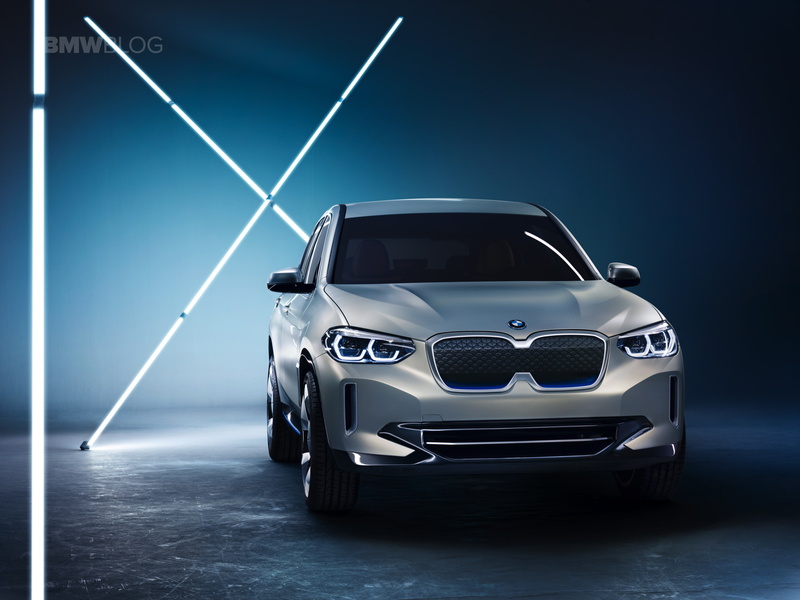 According to BMW, the iX3 will have 270 from a lone electric motor at the rear and a total range of about 249 miles. So the claimed range is a bit higher than the e-tron’s but it will likely get closer to that in reality than the e-tron, due to being so much lighter. Following that is the Mercedes-Benz EQC, an electric version of the GLC-Class SUV and the first of the “EQ” line of electric Mercedes’. The Benz might be the fastest car of the trio, as Mercedes claims it will have a combined 402 hp from its two electric motors. That gives it a claimed 0-60 mph time of around five seconds, which would be the best of this triplet. It also has a range of around 250 miles, which seems to be the sweet spot. All three of these cars seem to be very interesting and exciting prospects. The Audi e-tron will almost certainly be the more expensive of the three by quite a bit, as it’s based more on the Q8 and will be far more premium than the other two. However, both the BMW and Mercedes boast basically identical range figures and, in the case of the Mercedes, even better performance. So they could be better values in the future. We’ll obviously just have to wait and see, as none of them have been officially released, but it is interesting to wonder about. For a comparison between the Audi e-tron and the Jaguar I-Pace, click here.